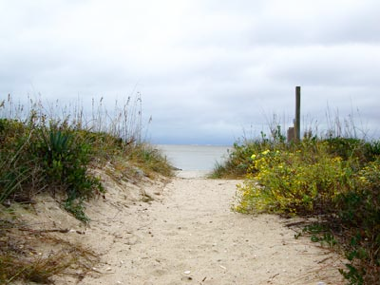 Located in Colleton County, SC, Edisto Beach is the perfect destination for families, couples, or individuals looking for a relaxing location to enjoy the beach and its surrounding island. It is one of the few remaining uncommercialized, family-oriented beaches left on the Atlantic Ocean. You will not find hotels or high rises here! That's why Edisto Beach is South Carolina’s “Best Kept Secret”. The number of permanent Edisto Beach residents is only 649. Edisto Island has a total area of 67.8 square miles, Edisto Beach-2.3 square miles. Edisto has a rich history of 18th century plantations growing rice, and Sea Island Cotton. In US. BEFORE THAT THE EDISTO NATIVE AMERICANS CALLED EDISTO HOME AND WAS THE NAMESAKE OF ISLAND. ARTIFACTS FROM THAT PERIOD ARE STILL FOUND AS WELL AS FOSSILS FROM SHARKS, DINOSAURS FROM PREHISTORIC TIMES. MANY BOOKS HAVE BEEN PUBLISHED ABOUT THE AREA. THE A.C.E. BASIN IS NAMED FOR THE THREE RIVERS THAT CONVERGE INTO ST HELENA SOUND MAKING THE AREA RICH IN FISHING, MAMMALS, BIRDLIFE AND ALL AREAS OF NATURE. THERE ARE NO HOTELS AND EXTREME DEVELOPMENT ON THE ISLAND MAKING EDISTO UNIQUE AND ONE OF THE LAST REMAINING ESTUARIES OF ITS KIND ON THE EAST COAST. *Taxi cabs do NOT operate to and from Edisto. Rental cars are available at the airport. Edisto enjoys a moderate climate, with average summer temperatures in the 80s, and winter temperatures in the 50s and 60s. This climate makes the off-season very attractive. The Atlantic has a large influence on our climate. It keeps the winters warmer and the summers cooler than they would be otherwise. Spring is a favorite time for many to be on the beach. The summer crowds have not yet appeared but the climate is perfect to enjoy nature, walks on the beach, trips through the many creeks of the ACE Basin, and the weekend art shows. Summer months bring the sun, surf, sand, and water activities. As the seasonal visitors depart and Autumn rolls in, many long time property owners take advantage of the down time. 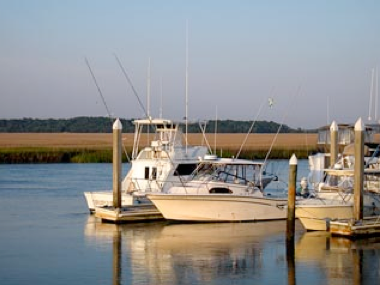 The autumn weather permits swimming, boating, and fishing until late in the season. Many find the Winter months to be a favorite time to enjoy Edisto. With only a few hundred full time residents, the winter months are perfect for relaxing, listening to the waves on the shore and watching the season change. ©2018 Egrets Pointe Townhouses, Inc. All Rights Reserves.